It Seems Everyone has a Digestive Problem Today. Don’t let your Belly ruin your Holidays. Manage your belly issues this season with a discount to try our therapies. First time clients will receive a 20.00 discount with the mention of this post. This offer is expires January 31st 2019. 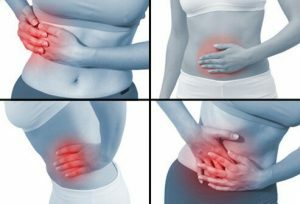 A large percentage of our population is experiencing some sort of digestive pain, constipation and bloating and many other symptoms. Some of our clients at Trust in the Process . Digestive Centre are acutely aware of extreme discomfort and are looking for answers. Then there are some clients who push the symptoms away. There body cries for help, in the form of tweaks and subtle signals. Some clients suppress with medication and don’t pay any attention. Till, there belly starts to scream. Trust in the Process therapists have seen the diet confusion, extreme demands on work and personal time and low priority for healthy meals. An overlooked step, in solving this digestive epidemic, is how to heal the gut and then how to move forward with care and diet. We also see a low priority in our mainstream society for preventive health. Simple solutions can go along way. We’re here to tell you the good news. There is light at the end of the tunnel. Our therapists are here to help and guide you to healing your belly.